Uphando had a dream of opening an office in Johannesburg for many years. It was a dream filled with fear and excitement. A lot of work was done in planning and design of the blueprint to make this dream a reality. Finally, on 1 October 2010 the dream came true when Uphando opened our office in Johannesburg. 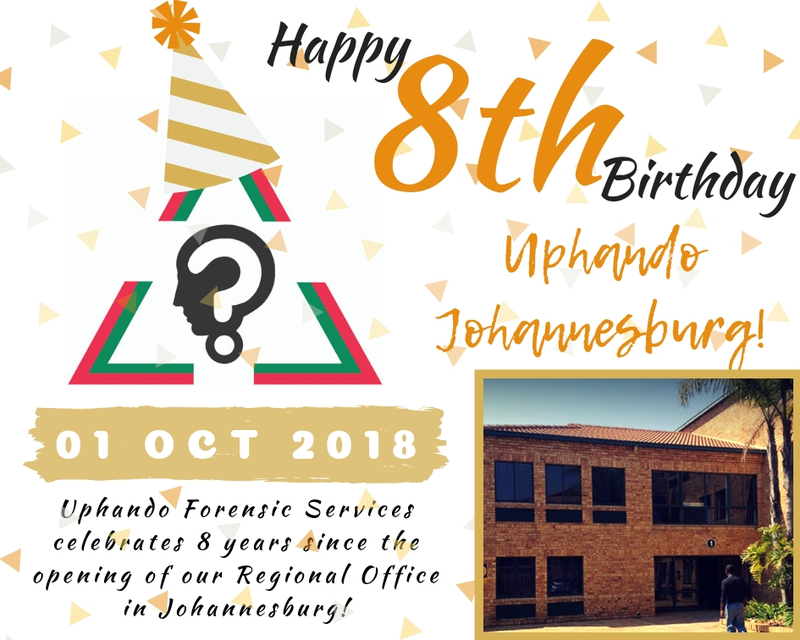 Today, eight years later, we at Uphando wish to thank all our staff, service providers and especially our clients for your continuous support in keeping this dream alive.